Being a teacher I was particularly interested in the Longboard Collective 4 day deckbuilding course. The decks were built using solid wood, cut and shaped into beautiful cruisers. KevinLavign says the event will be run for a second year, this March. Their blog and website is full of great pictures and information about the build. 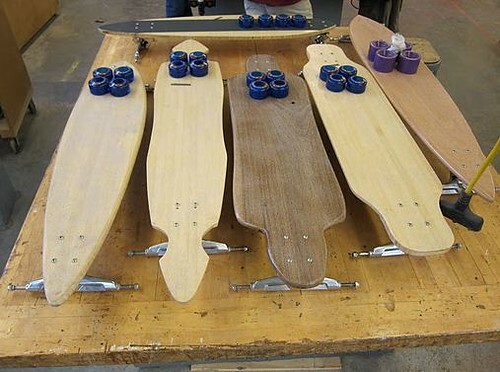 This course will bring together people with a common interest in exploring the design, product and lifestyle of longboarding in a hands-on workshop. 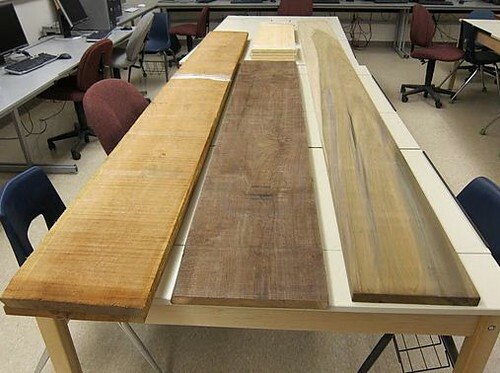 Participants will design and handcraft a longboard around the goal of replacing as many environmentally harmful materials as possible, with functional, ecologically based alternatives using wood from local New England forest. 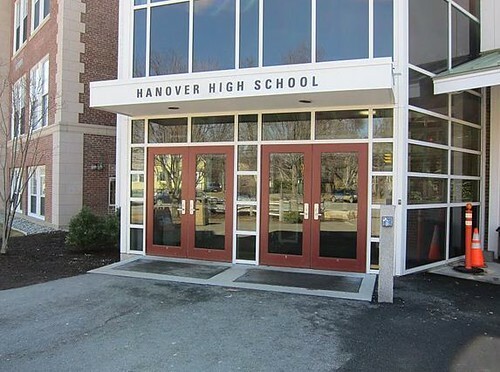 This is day one of the Longboard Collective at Hanover High School. After introductions, Wayne from Surf-Rodz, and Andrew from GreenStreet Longboards, opened our workshop this morning with a discussion of materials and longboard shapes. 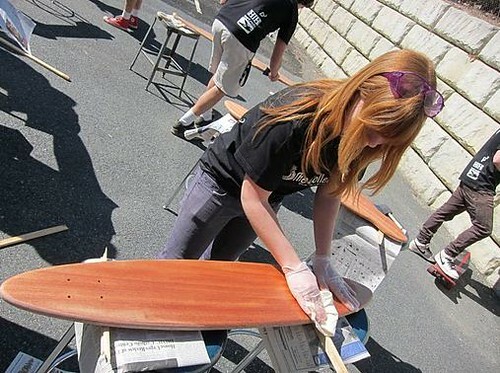 The students were encouraged to employ NO RULES to their designs…longboard design wrapped in art!